Loved ones of a Tennessee man killed when a slab of concrete tossed from an overpass crashed through his car windshield pleaded for any witnesses to contact police, saying they want justice. As police in Nashville worked to identify the person responsible, Joe “Jody” Shelton Jr.’s family spoke out about losing the “foundation of our family” to what authorities suspect was a random act of violence. Family members of Joe ‘Jody’ Shelton plead for anyone with information about his death to come forward to police during an interview with WKRN, Nov. 21, 2018. Joe Shelton, 54, an employee at a Nissan plant in Smyrna, was driving to work on Interstate 24 in Nashville about 5 a.m. on Tuesday when a slab of concrete police say was thrown from an overpass crashed through his windshield, hit him in the face and killed him instantly. Metropolitan Nashville Police Department investigators are trying to identify the culprit by combing through surveillance video from cameras in the area and asking anyone with information about the tragedy to come forward. 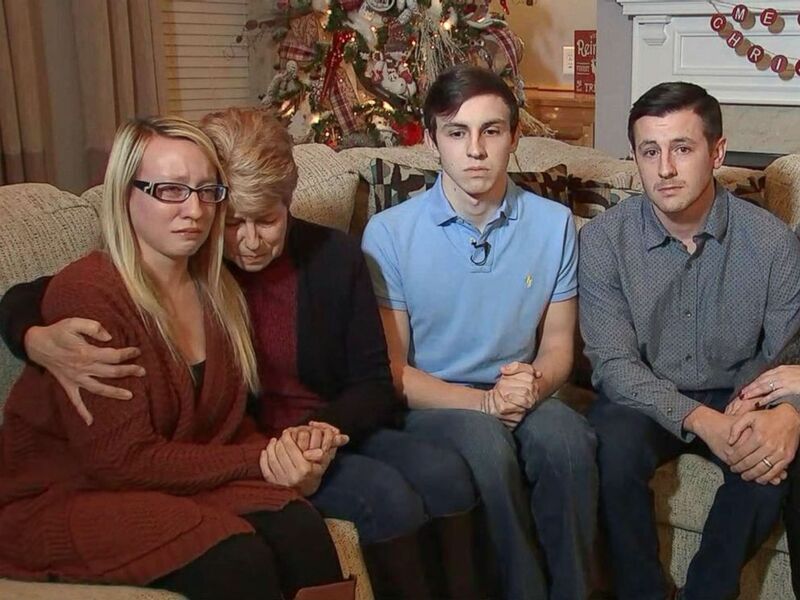 Jacob Shelton, a student at Ouachita Baptist University in Arkadelphia, Arkansas, spoke on behalf of his grieving mother, brother and sister as they sat together on a couch in the living room of their family home in Springfield, Tennessee, a Christmas tree and other holiday decorations behind them. 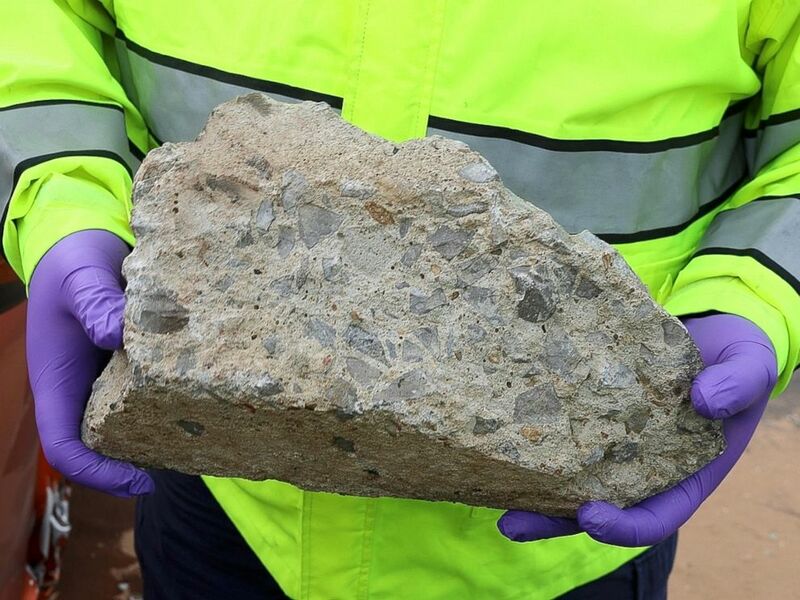 In this photo released by the Nashville Police, an officer holds large piece of concrete that struck a vehicle on Interstate 24, Tuesday, Nov. 20, 2018, in Nashville, Tenn.
His said his father, who was nearing retirement, had taken the same route to work for 28 years and was an “extremely precautious” motorist who avoided driving next to 18-wheelers and other big trucks. 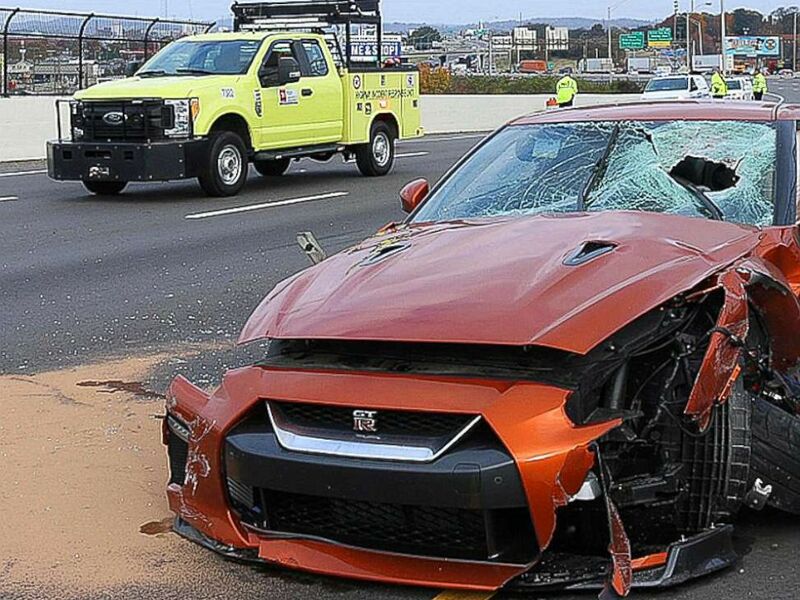 In this photo released by the Nashville Police, a vehicle is seen damaged after a large piece of concrete entered the vehicle on Interstate 24, Tuesday, Nov. 20, 2018, in Nashville, Tenn.
“My father was the rock of our family. He was the foundation and he’s someone we could all lean on. He was a great person all around and a joy to everyone that came to him,” Jacob Shelton said. He said he and his family would like to see Nashville city officials take steps to prevent a similar tragedy from occurring by increasing the height of fences and improving surveillance on overpasses. California’s Rich Are Protecting Their Homes With Private Firefighters. Officials Say It’s Only Making Their Jobs Harder.